Author of the bestselling Angels in My Hair Lorna Byrne sees angels with as much clarity as the rest of us see people, and she speaks to them every day. In A Message of Hope from the Angels, Lorna gives you the comfort of knowing that, no matter how alone you might feel, you always have a guardian angel by your side to support you. 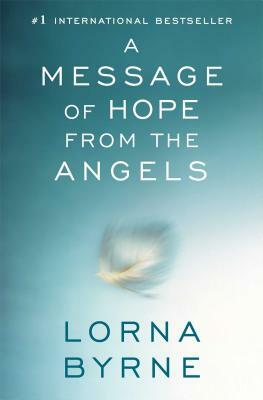 In this inspiring and uplifting book, Lorna reveals how you can call on the help of your angels to carry you through the challenges that everyone inevitably faces, including loneliness, depression, stress, financial strain, heartbreak, the death of a loved one, or feeling inadequate as a parent. No matter what obstacles you face, you can call on this support to make your life happier and more fulfilling. "Written with tenderness and simplicity, this book offers a message of hope for these troubled times. Filled with wise observations, personal experiences and practical help, Lorna guides us to many of the answers we seek."